Hello Sunshine! 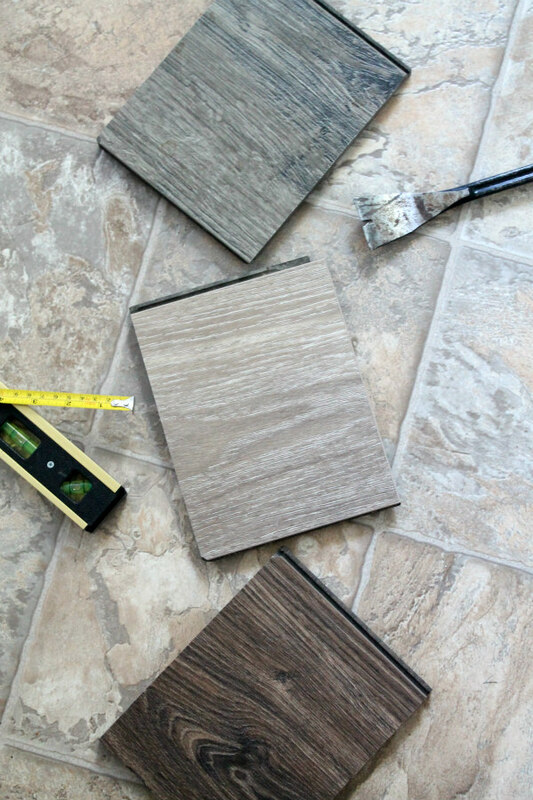 I'm hitting the ground running on our laundry room home goals and today is all about flooring. Picking out flooring is a daunting task, especially if you walk into a flooring center not prepared and with no clear direction. One of the first steps for us was to sit down and pick the type of floor we wanted before the style. Throughout our home we have beautiful 68 year old hardwood and I absolutely love them; however, I knew we needed something a little different for our laundry room. This particular part of the house is not heated so I had to ix-nay tile. Tile is cold underfoot and before you say it we did not want to install a heated tile system. Wanting the durability of tile but the warmth of hardwoods we chose laminate. Laminate is a great option for our family and how we use our laundry room. Aside from laundry, my most dreaded task, this room is right off our back porch. So needless to say my boys run in and out of the house a billion times bringing in dirt, mud, and equipment. These floors have to be water and scratch resistant, able to stand up to high traffic, and be easy to install. I found all of that with Aquaguard laminate flooring. I ordered a few samples in colors the family chose. I laid them out on the laundry room floor and let life happen. I was pleased with the quality and how easily they cleaned up. The only problem was committing to a color. From top to bottom the colors are Smoky Dusk Water, Calico, and Amstel. We loved the color pattern of the Smoky Dusk Water floor, plus my daughter loves that name. Calico was light and would give me that overall airiness I want for the space. Amstel is the only flooring option that closely represents our hardwoods. I was so happy that we had a Floor and Decor store to open in our area and over the weekend I went to see our flooring options on a larger scale. And I'm glad I did cause I immediately knew that Amstel was the right choice. The floors are delivered and acclimating to our home and I can't wait to get started on installing them. Which style are you drawn to? To see more about our laundry room click here. See ya soon! Love your choices. I can't wait to see the changes!